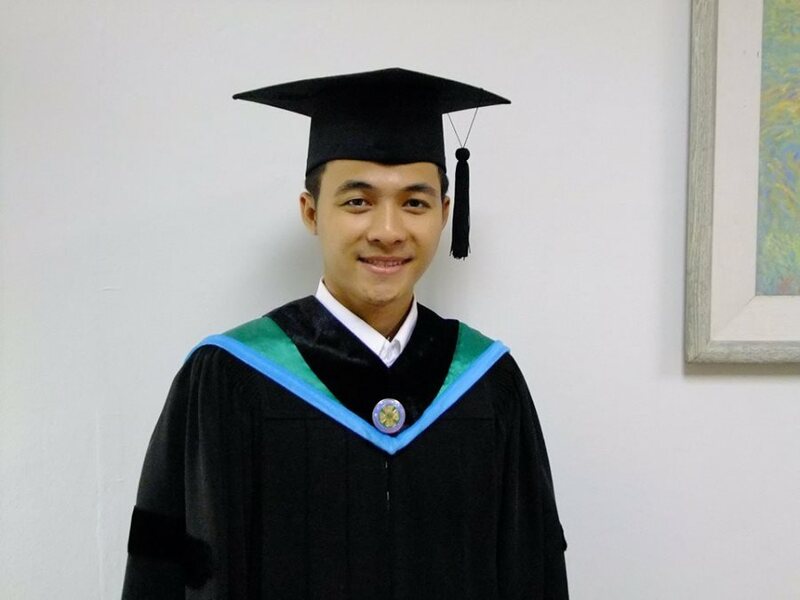 St Theresa International College Alumni Mr Aeyaya Chorot, a Karen man born in Myanmar 23 years ago graduated with a Bachelor Degree of Business Administration in International Business field this year. He talked with STIC News in this exclusive interview during the STIC Commencement Ceremony held on December 3, 2015. Mr Aeyaya was a beloved student among his classmates. Now, most of his classmates are working in their own family businesses, while two of them work for Japanese companies using English in the field of IB. 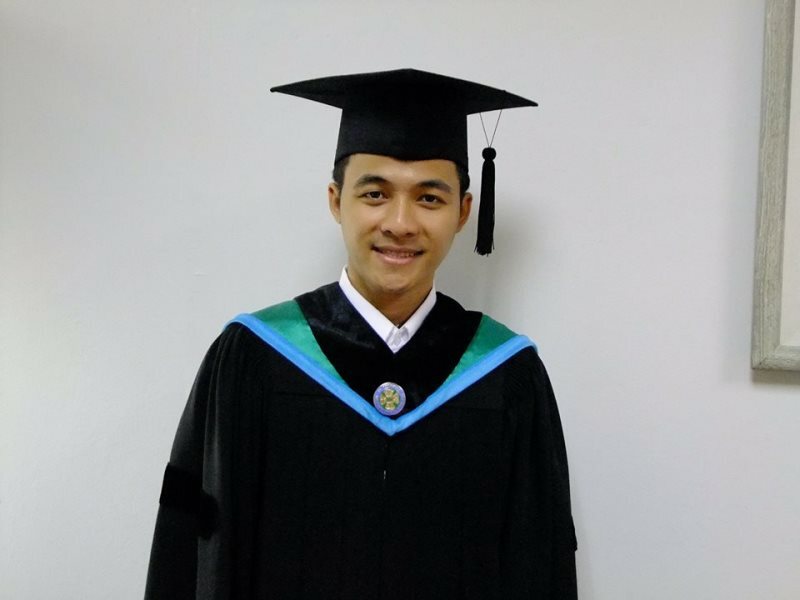 Aeyaya said he had gained some extensive experience from working for the American Chamber of Commerce in Bangkok after finishing from STIC in academic year 2014. During his final year, he was an intern student working with the Chamber for four months from October 2014 to March 2015. He has been trained as an assistant to the Administration Department for all document translation from Thai to English, take care of guests visiting the chamber offices , facilitate both Thai and American guests, and those who are members and none members of the chamber have contacted the chamber for business deals. “For the Social Networking event, it is organized several times in a week, especially for the chamber committee meeting, talks about Taxation, SME investment projects, and so on. 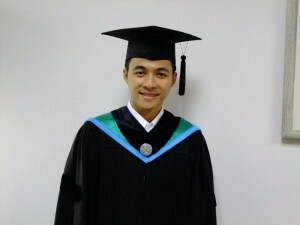 Mr Ayeya graduated from STIC with honour, first class degree, with GPA of 3.84. For English proficiency, he thanks that he learned English by himself (self-help) at 50 percent, and learned from the international lecturers in the College campus at 50 percent. Before STIC, he learned English from none-formal education school that gave him a chance of learning and practicing English. “During my study on the campus, I had Dr Yongyut Khamkong lecturer as my idol. He taught me on how to read books and newspaper so as to get better learning, gaining more knowledge. He also taught me Buddhism dharma, and motivated me to learn more. I personally like how he is,” he noted. Most of international lecturers from Philippines to India and Europe, they could help assist me in studying here, and then I could get advantage, gain more knowledge, learning and practicing English accent. In the IB, Ajarn Nanda is also a good teacher. “During the IB course, I spent 70 percent, to learn from the class, and spent 30 percent on curricular activities, such as organizing the weekly Toastmaster Club meeting, participating in Community Services by teaching students in the local primary schools nearby the College, as volunteer,’” he added. When he was young, Aeyaya liked teaching, and liked participating in the social and welfare activities, as the mindful services volunteer in Ratchaburi and Loei provinces. However, he graduated with the degree, he would like to do a business and manage the businesses at his home Karen village of Ban Huay Pak, Suan Pueng district, Ratchaburi province. Mr Aeyaya was born in 1993 in Peelekul town, Myanmar border across Thailand, and that time it was the fighting between government troops and Karen National Union (KNU) minority groups inside Myanmar. Then he immigrated into Thailand’s Ratchburi province in 1997, “Even now I feel worried about my home town in Myanmar, what will happen in the near future. Teelekul town in Myanmar is also located on the Salween River flowing from the Northern Myanmar and Thailand borders,” he noted. For his impression studying here at the College, he said, international lecturers are good teachers, although there is a shortage of teaching and learning tools, an equipment to study about IB here. For his worry, he noted that it should have a flying bridge io be constructed for road safety in front of the College, “as I fear that more road accidents will happen there very often, causing damage to student lives and properties, “ he added.